If there is something we have not mentioned or if you need more information, a consultation or quote, please do not hestiate to ring or email. I aim to reply within a few hours. I look forward to hearing from you - and especially meeting your precious pets! We're also happy to pick up post, water your plants and open and close curtains at no extra charge. For security reasons, we do not wear clothing with logos or use branded vehicles. 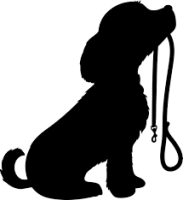 Trustworthy, reliable and friendly pet care and pet sitting services in Bristol and South Gloucestershire. Whether you're in Clifton, Filton, Bradley Stoke, Patchway or beyond, we offer competitive rates for dog sitting, pet sitting, cat sitting, small animal - rabbits/ hamster/ fish care. Get in touch today!